Dacryocystitis is an inflammation or infection of the lacrimal sac that takes place when the lacrimal drain system is obstructed and bacteria contaminates the sac. The lacrimal sac is part of the system that links the eyes to the nasal cavity in order to drain tears away from the surface area of the eye. Dacryocystitis causes unilateral tearing, discharge, swelling, inflammation, and pain in the inner inferior canthus (the area surrounding to the nose). This inflammation might be acute or chronic, and it can be hereditary or take place later in life. What Are The Symptoms of Dacryocystitis? The main symptoms of a dacryocystitis infection are watery eye, pain, inflammation, and swelling in the inner part of the affected eyelid. If an infection exists, pressing on the area over the lacrimal sac might cause discharge to expel from the corner of the eyelid. There will often be soreness and crusting around the eyelids and lashes. If the infection goes without treatment for enough time, a more severe infection can develop and can induce a high fever. 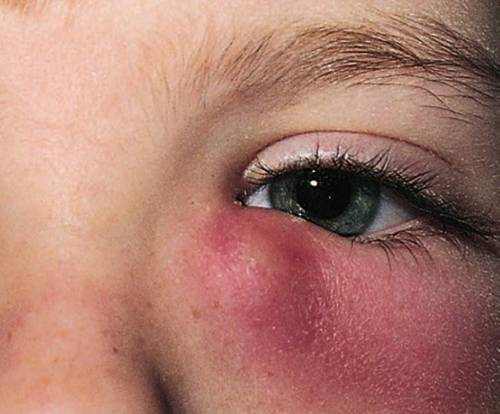 If you have the symptoms of a dacryocystitis infection – consisting of a fever – or if you are feeling ill, it is very important that you look for medical attention right away in order to avoid additional complications and life threatening orbital cellulitis infection. Extreme tear production is a typical symptom of dacryocystitis, and in chronic cases it might be the only symptom. If you are regularly troubled by watery eyes, you may have an obstruction in your tear ducts, and you ought to see your optometrist for a medical diagnosis. Any obstruction of the nasolacrimal duct can prevent tears from draining effectively. When this occurs, the undrained fluid can end up being a hospitable environment for bacteria (particularly Staphylococcus aureus), making the eye vulnerable to infection. In congenital types the drain system near the lacrimal sac is blocked, stenosed (abnormally narrowed), or not totally developed. One kind of genetic dacryocystitis can be brought on by a dacryocystocele, which is a kind of cyst that usually forms during fetal advancement. These cysts can typically be found with an ultrasound examination. If you are experiencing a few of the symptoms of dacryocystitis – or even if you have chronically watery eyes and wish to learn why – you need to make a visit to see an ophthalmologist as soon as possible. Your doctor will examine your eyes completely with a microscope, looking carefully at your drainage system to determine whether it is blocked, and to what degree. Your doctor might flush fluid through the eyelids to see if the drain system is flowing effectively, and might take a sample of any discharge in order to test for the existence of transmittable bacteria. The results of this screening will verify or eliminate a diagnosis of dacryocystitis, and will also help to determine the suitable treatment. If the dacryocystitis is intense and was triggered by a bacterial infection, the method of treatment is normally oral antibiotics. Other treatment techniques consist of topical antibiotic drops, warm compresses with mild massage, and non-prescription pain medications. If a fever is present or the patient is really ill in addition to the dacryocystitis, hospitalization is needed. Depending upon the cause and severity of your condition, your doctor might recommend you to think about a surgery known as dacryocystorhinostomy. The function of this procedure is to restore tear circulation from the lacrimal sac into the nose. To accomplish this, a hole is produced between the lacrimal sac and the bone of the lacrimal fossa in order to open a connection for the tears to drain pipes. Tubes and drains are left in place in order to avoid the gap that has actually been produced from closing. Other surgical alternatives include balloon surgery, which includes opening narrow tear ducts with balloons. I have actually always been troubled with watery eyes. Could chronic dacryocystitis or a tear outflow obstruction be the reason for this? Ever since my eye injury, I have suffered recurrent eye infections; is it possible my lacrimal sac was damaged? Are there any non-surgical treatments that might assist me?